Since CATS remodeled, there has not been a decent finger/hangboard in any of the local gyms for a while. So I am finally installing some finger edges in the cellar. 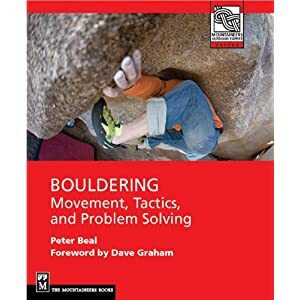 I am also putting plans together to make a small bouldering wall so I don't have to travel in town if I don't need to. Any suggestions are welcome. 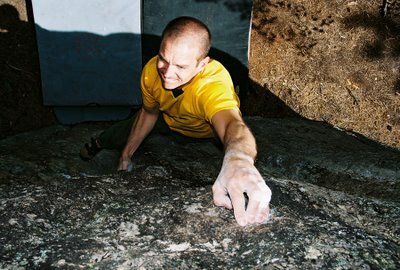 I spent some time Saturday afternoon working the V10 R to L traverse on Red Wall. All the moves are done and I think I can link it next visit. It's a good challenge. Very crimpy in the first half, then great holds and followed by a testy finish. A really worthy testpiece and a good job by Ted Lanzano. Not sure you have this kind of space, we took one car's worth of the 2 car garage up for this. I too am not Mr. Handyman, just used the metolius and Leavitt climbing wall books as references. Thanks Jesse. Great pictures of the family. I have to add some soon as well.